How do you determine what's displayed in a list of "blocks" in the overview? If you have a really small and flexible component structure you might end up with a list of blocks with the same component in it. To decide which field we display below the component name you can use a settings in that components definition. In your component schema definition you can use the advanced option “use for preview”. 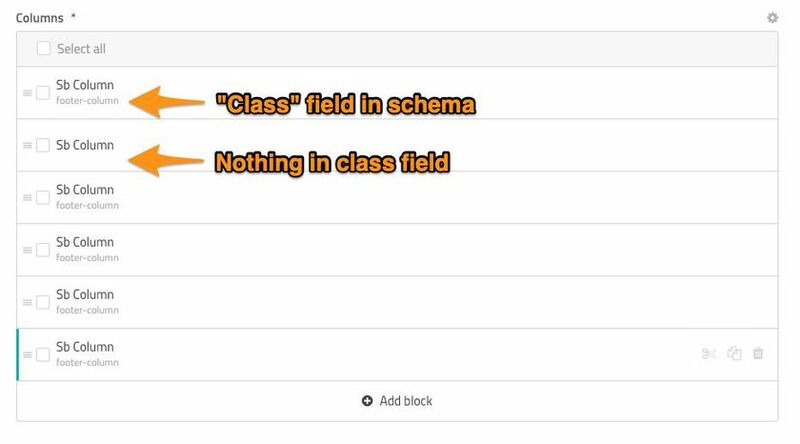 Check that in the field of you that you want to be displayed, by default we will determine the first field with a string value and display that.